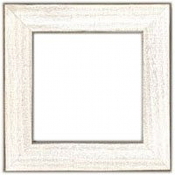 Mill Hill has designed a wide selection of wooden hand painted frames to work with a variety of their counted cross stitch kits. The frame required is listed on the back of the kit. If you need any assistance in locating the proper frame please email us so we can assist you. 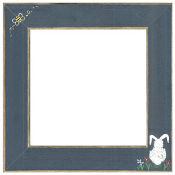 Mill Hill 6" x 6" Hand Painted Frame - Matte Blue with Bumble Bee and Bunny GBFRFA12 Wooden Frame Matte Blue with handpainted Bumble Bee and Bunny Rabbit. Front opening 5.5" x 5.5". Back opening 6" x 6". Overall 8" x 8". Includes dowel for easel display. 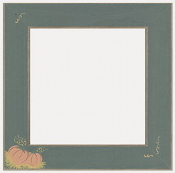 Mill Hill 6" x 6" Hand Painted Frame - Antique White GBFRM10 Wooden Frame Antique White. Front opening 5.5" x 5.5". Back opening 6" x 6". Overall 8" x 8". Inside and outside edges are sanded to give a distressed appearance. Includes dowel for easel display. 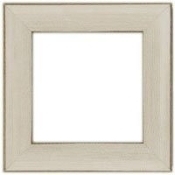 Mill Hill 6" x 6" Hand Painted Frame - Taupe GBFRM11 Wooden Frame Taupe. Front opening 5.5" x 5.5". Back opening 6" x 6". Overall 8" x 8". Includes dowel for easel display. Designed to use with Mill Hill beaded counted cross stitch kits. Mill Hill 6" x 8" Painted Frame - Matte Black GBFRM19 Wooden Frame Matte Black. Front opening 5.5" x 7.5". Back opening 6" x 8". Overall 8" x 10". Includes dowel for easel display. Outer and inner edges are sanded to give a distressed look. Designed to use with Mill Hill cross stitch kits. Mill Hill 6" x 6" Hand Painted Frame - Matte Black GBFRM1 Wooden Frame Matte Black. Front opening 5.5" x 5.5". Back opening 6" x 6". Overall 8" x 8". Inside and outside edges are sanded to give a distressed appearance. Includes dowel for easel display. 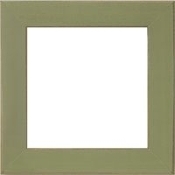 Mill Hill 6" x 6" Hand Painted Frame - Olive GBFRM12 Wooden Frame Olive. Front opening 5.5" x 5.5". Back opening 6" x 6". Overall 8" x 8". Includes dowel for easel display. Designed for Mill Hill beaded counted cross stitch kits. 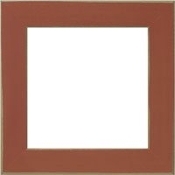 Mill Hill 6" x 6" Hand Painted Frame - Rust GBFRM13 Wooden Frame Rust. Front opening 5.5" x 5.5". Back opening 6" x 6". Overall 8" x 8". Includes dowel for easel display. Designed to use with Mill Hill Counted Cross Stitch kits. Inside and outer edges are sanded to give a distressed appearance. Mill Hill 5" x 7" Wood Frame - Antique White GBFRM17 Wooden Frame Antique White. Front opening 4.5" x 6.5". Back opening 5" x 7". Overall 7" x 9". Includes dowel for easel display. Designed to use with Mill Hill Words for Life Stiched and Beaded kits by Debbie Mumm. 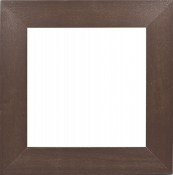 Mill Hill 5" x 7" Wood Frame - Taupe GBFRM18 Wooden Frame Taupe. Front opening 4.5" x 6.5". Back opening 5" x 7". Overall 7" x 9". Includes dowel for easel display. Designed to use with Mill Hill Words for Life Stiched and Beaded kits by Debbie Mumm. Mill Hill 8" x 8" Painted Frame - Matte Black GBFRM21 Wooden Frame Matte Black. Front opening 7.5" x 7.5". Back opening 8" x 8". Overall 10" x 10". Hole drilled for hanging. Outer and inner edges are sanded to give a distressed look. Designed to use with Mill Hill cross stitch kits. Mill Hill 6" x 6" Hand Painted Frame - Matte Plum GBFRM7 Wooden Frame Matte Plum. Front opening 5.5" x 5.5". Back opening 6" x 6". Overall 8" x 8". Includes dowel for easel display. Designed to use with Mill Hill counted cross stitch kits. Mill Hill 6" x 6" Hand Painted Frame - Matte Periwinkle GBFRM8 Finish off your Mill Hill Buttons & Beads cross stitch kits with a quality Mill Hill Wooden Frame. Color: Matte Periwinkle. Front opening 5.5" x 5.5". Back opening 6" x 6". Overall 8" x 8". Includes dowel for easel display. Mill Hill 6" x 6" Hand Painted Frame - Matte Blue GBFRM2 Wooden Frame Matte Blue. Front opening 5.5" x 5.5". Back opening 6" x 6". Overall 8" x 8". Includes dowel for easel display. 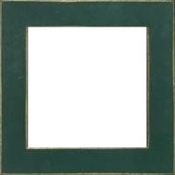 Designed to use with Mill Hill beaded counted cross stitch kits.... Mill Hill 6" x 6" Hand Painted Frame - Matte Green GBFRM3 Wooden Frame Matte Green. Front opening 5.5" x 5.5". Back opening 6" x 6". Overall 8" x 8". Includes dowel for easel display. Inside and outsides edges are sanded to give a distressed look. 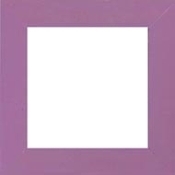 Mill Hill 6" x 6" Hand Painted Frame - Matte Purple Iris GBFRM6 Wooden Frame Matte Purple Iris. Front opening 5.5" x 5.5". Back opening 6" x 6". Overall 8" x 8". Includes dowel for easel display. 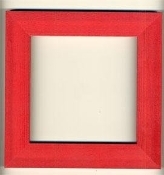 Mill Hill 6" x 6" Hand Painted Frame - Holiday Red GBFRM9 Wooden Frame Holiday Red. Front opening 5.5" x 5.5". Back opening 6" x 6". Overall 8" x 8". Includes dowel for easel display. Designed to use with Mill Hill Cross Stitch kits.